Canada's Adam Hadwin finished tied for 24th. 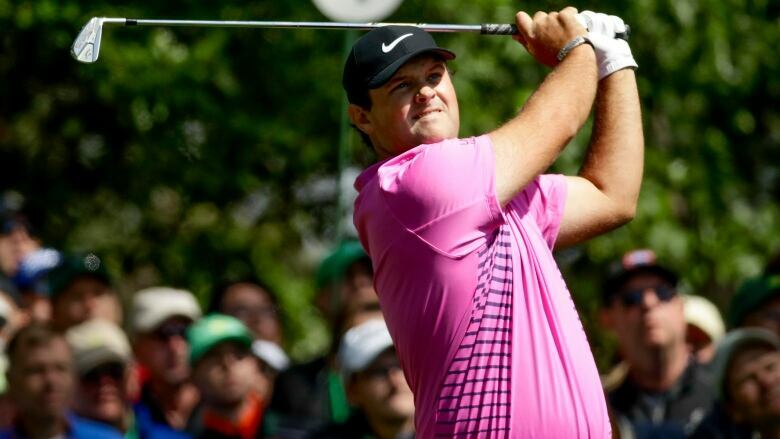 Different about this victory for Reed was the fuchsia shirt he wore as part of a Nike script. Reed always wears black pants and a red shirt because that's what Tiger Woods does, and Reed has long modeled his mental game after Woods. "Be stubborn," he once said about learning by watching Woods, who finished tied for 32nd. Reed's only bogey on the back nine was at No. 11 from a tee shot into the trees. He answered with a 25-foot birdie on the 12th, and a shot into 8 feet at No. 14 for a birdie that broke the tie with Spieth. He made all pars from there. That's all he needed. Can Tiger Woods return to his role as 'influencer' for game of golf?